// Make sure to add this so you can re-use `conn` between function calls. // function calls thanks to `callbackWaitsForEmptyEventLoop`. // potentially expensive process of connecting to MongoDB every time. // disconnected from MongoDB and send them when it reconnects. // With serverless, better to fail fast if not connected. 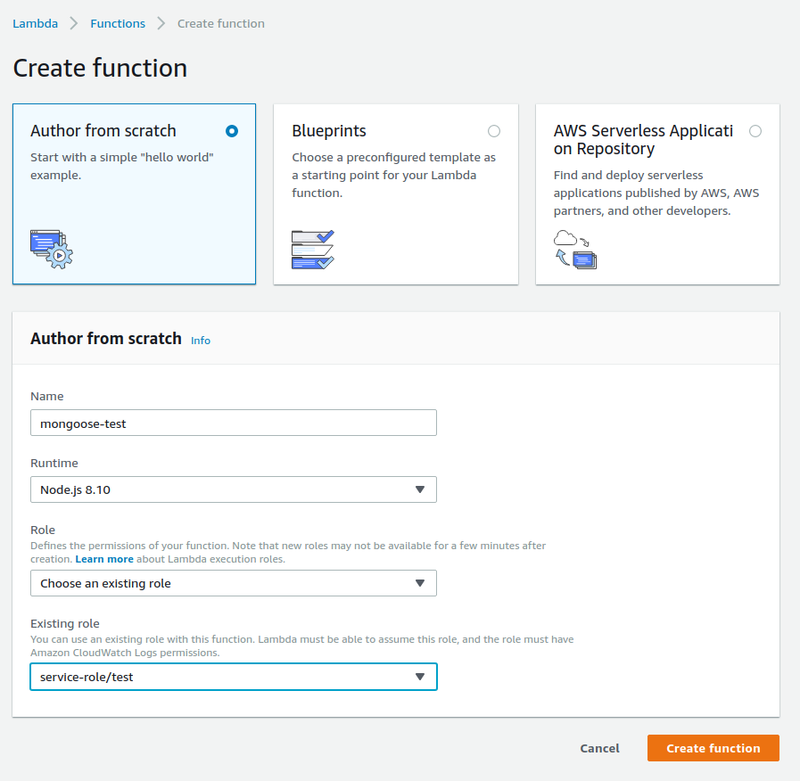 To import this function into Lambda, go the AWS Lambda console and click "Create Function". Copy the source code into a file called lambda.js. Then run npm install mongoose co. Finally, run zip -r mongoose-test.zip node_modules/ lambda.js to create a zip that you can upload to Lambda using the "Upload a Zip File" option under "Function code". Make sure you also change the "Handler" input to lambda.handler to match the lambda.js file's handler function.